Most people find bad breath unpleasant and, if they themselves are affected, embarrassing. Many people try to cover up bad breath with mouthwash, chewing gum or peppermint. But these are only short-term solutions. Oil pulling is an easy and cheap alternative. This method of self-treatment against bad breath has been practised in Ayurvedic natural medicine for the past 4000 years. One of the most common causes of bad breath is bacteria settling in our oral cavity. Billions of bacteria can be found in our mouth and pharynx which can – if they are not controlled – produce unpleasant-smelling sulphur compounds. It’s here that the natural treatment of oil pulling comes into the mix as it’s an uncomplicated and inexpensive option when it comes to daily dental and oral hygiene. The oil pulling method is simple: A small amount of high-quality oil is moved around in the oral cavity for 15 minutes by slurping or chewing (similar to the movements you make when you chew gum). The liquid oil is able to get into even the smallest gaps so any deposits will be removed from the mucous membrane of the oral cavity and bound in the oil. Therefore, it is incredibly important that you do not swallow the oil containing the deposits after use, but spit it out instead. The oil pulling method is said to have positive effects on tooth and gum health and helps to reduce bacteria in the entire oral cavity. Bad breath can also be prevented through oil pulling. Many people also report that their teeth feel smoother and appear whiter afterwards. Before oil pulling, is it best to clean your tongue as many bacteria and fungi can be deposited on its rough surface. Special tongue cleaners are particularly well-suited for this task. Dentures must be removed before the process starts. You get the best results if the daily oil pulling is done in the mornings, on an empty stomach and before brushing your teeth. 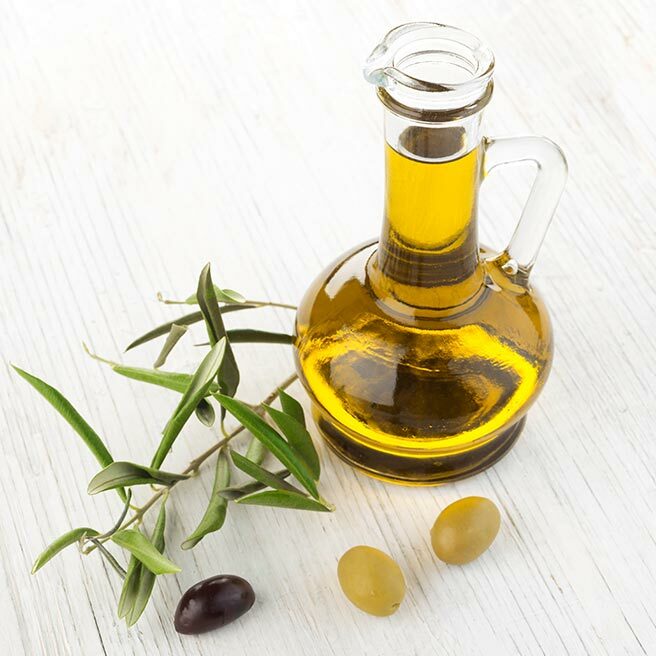 High-quality edible oils such as coconut, peanut, olive and sunflower oil are particularly well-suited for this process. Choose the oil that you like the taste of best. Coconut and sesame oils are purported to have anti-inflammatory properties. Take a tablespoon of oil and swish it around in your mouth, pulling it through your teeth every now and then. In doing so, the oil will be squeezed though all the gaps and gingival pockets. If you can gargle with the oil without swallowing any, you can also of course do this! The oil pulling should be done for at least 15 minutes. However, “beginners” can also start by doing it for a few minutes and then gradually increasing the time each day. Very important: After the oil-pulling the oil must be spit out – it must not be swallowed under any circumstances. As the oil now contains possible harmful substances and bacteria which we do not want in our bodies. Don’t be surprised: If done correctly, the yellow, somewhat viscous oil will turn into a white and very fluid substance. After the oil pulling, you should rinse out your mouth with lukewarm water and then brush your teeth. Oil pulling can be done in the long-term and several times a day, however it must always be done before mealtimes. Even doing oil pulling cures for just a month is useful.